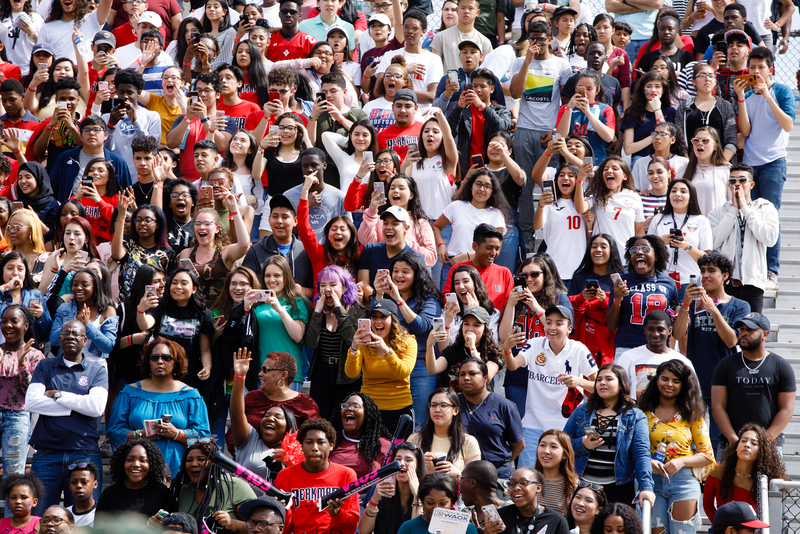 Quavo of the Migos kicked off his 27th birthday by giving back to children and fans at Berkmar High School in Norcross, Georgia, an area becoming known as “The Nawf.” The closed-to-the-public event was for teachers, faculty and students of Berkmar High School. 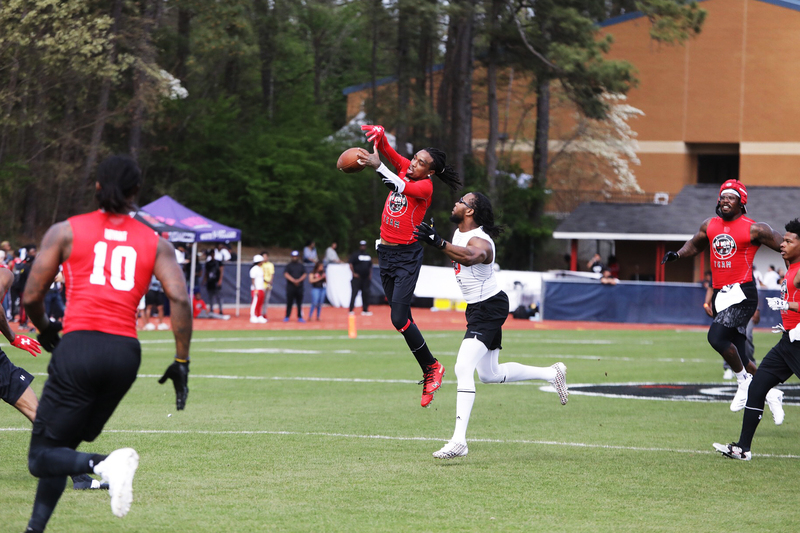 Held on Easter Sunday, it started with an Easter egg hunt, face painting, contests and bounce houses before Team Huncho faced off against Team Julio in touch football. 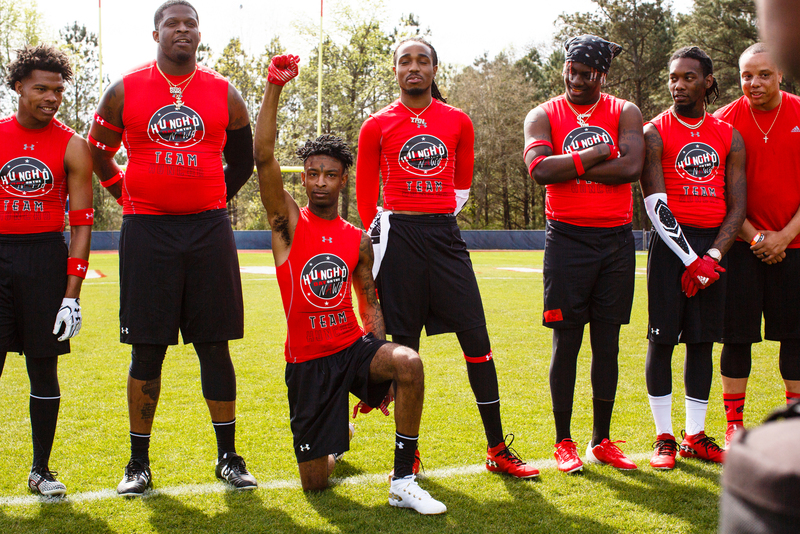 Coach 2 Chainz led Team Huncho with a stacked deck of hip-hop artists and athletes, from Quavo, Offset and 21 Savage to Alvin Kamara, Von Miller and Todd Gurley. 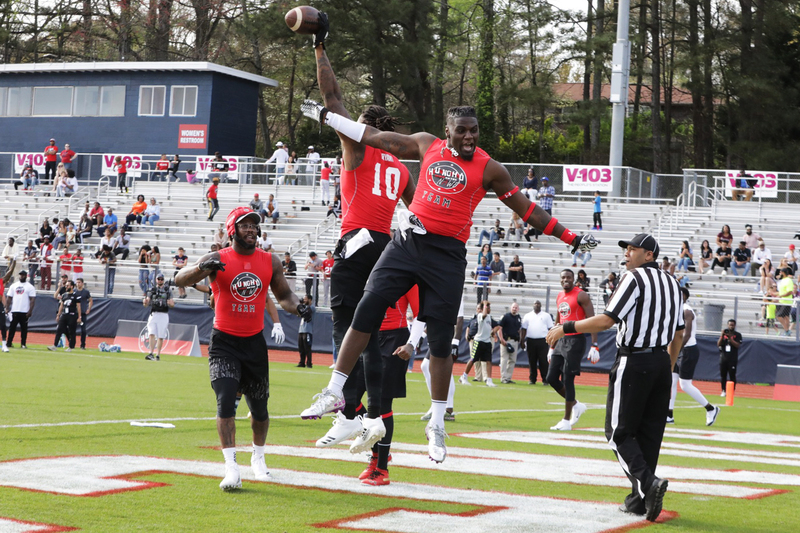 Team Julio, coached by Julio Jones, had Ezekiel Elliott, Martellus Bennett, Jacquees and Josh Norman, among others. 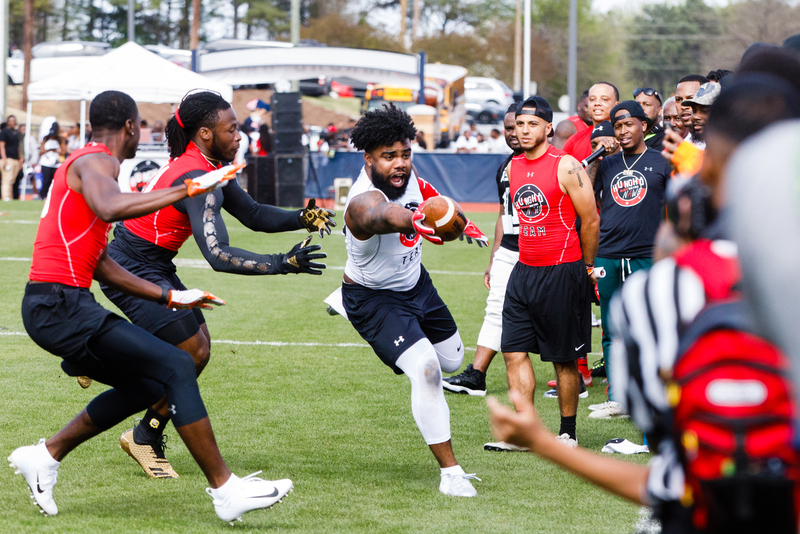 The back-and-forth game ended with an Elliott touchdown, as many games do, giving the win and bragging rights to Team Julio. 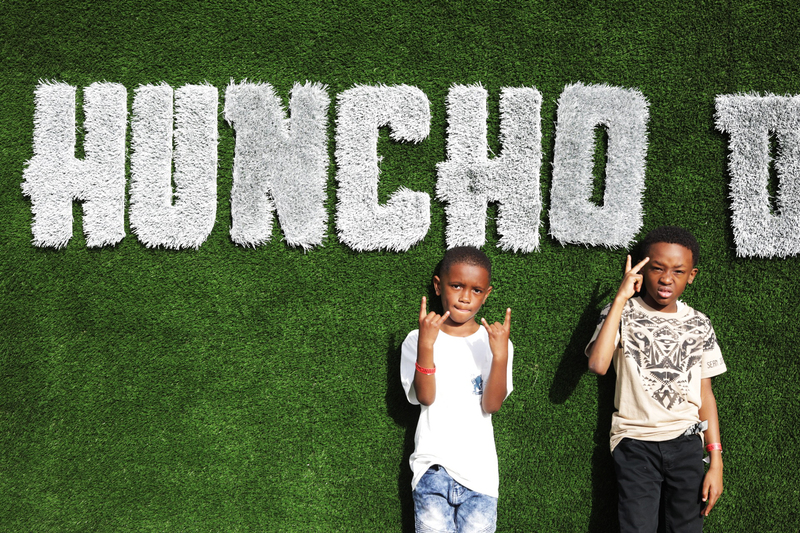 Children pose underneath the Huncho Day sign. 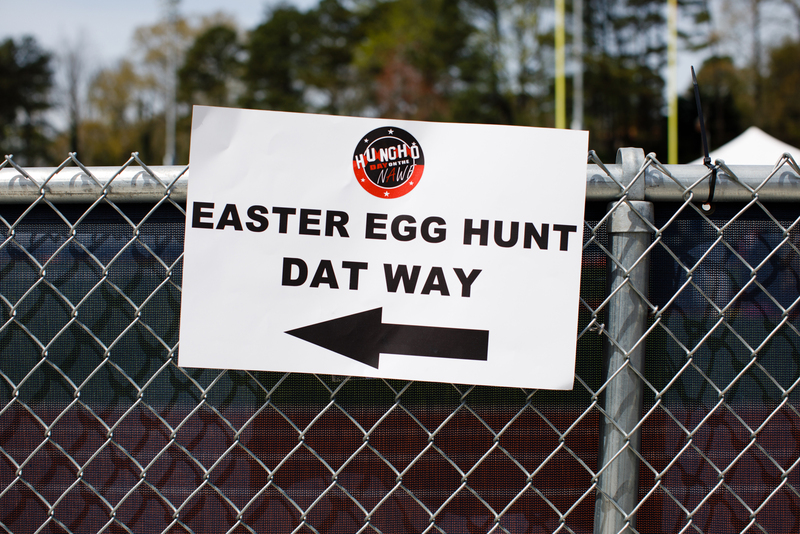 A sign directs guests to the Easter egg hunt. 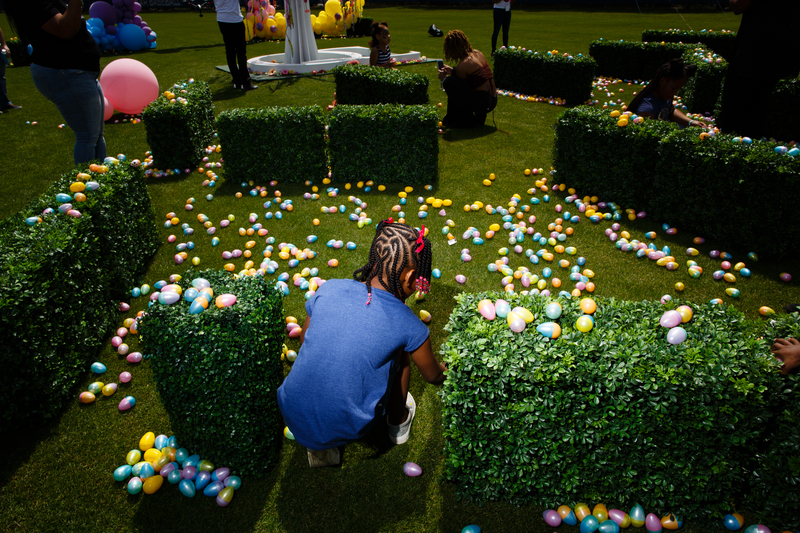 Children collect eggs during the Easter egg hunt. 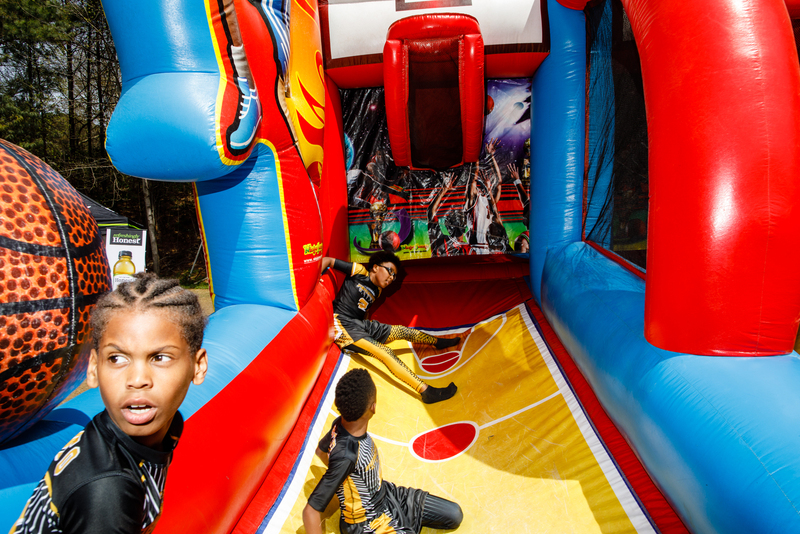 Children try their best to dunk while inside one of the bounce houses. 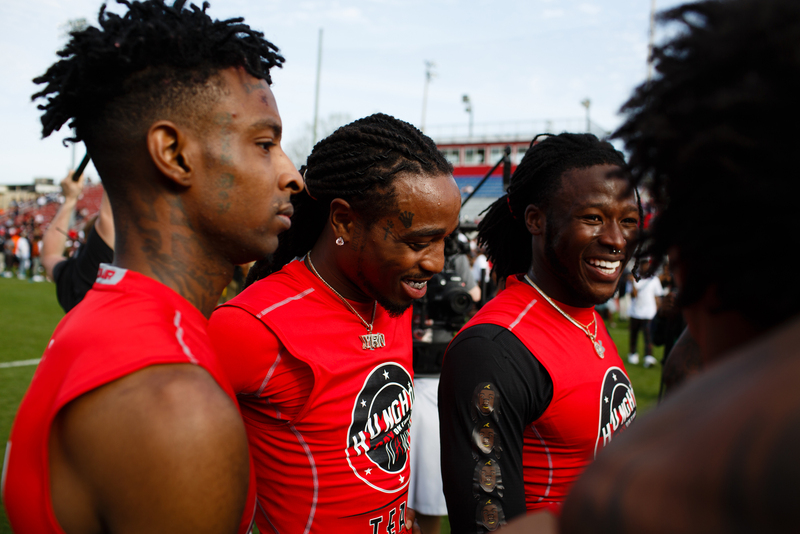 From left: 21 Savage, Quavo and Alvin Kamara talk before the start of the football game. 21 Savage kneels before the start of the game. Fans scream during the introduction of the athletes. Quavo walks the sideline before the start of the game. 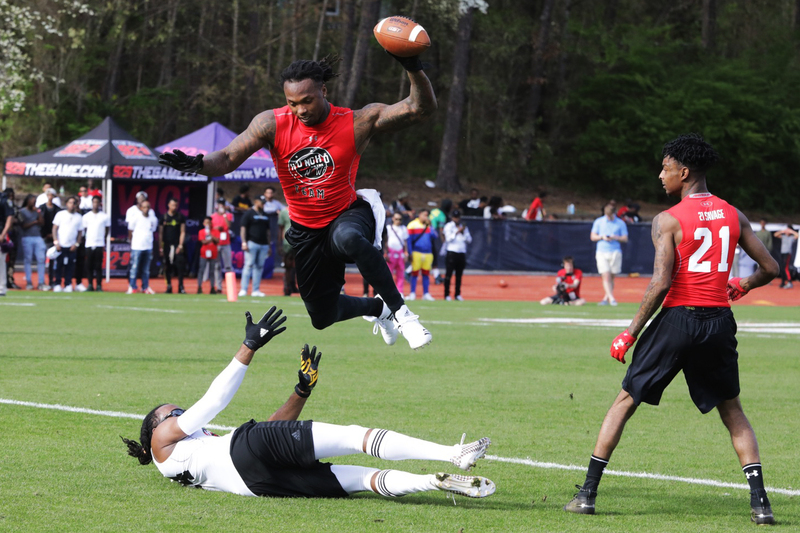 Martavis Bryant leaps over a defender. Ezekiel Elliott of the Dallas Cowboys stretches to clear the goal line. 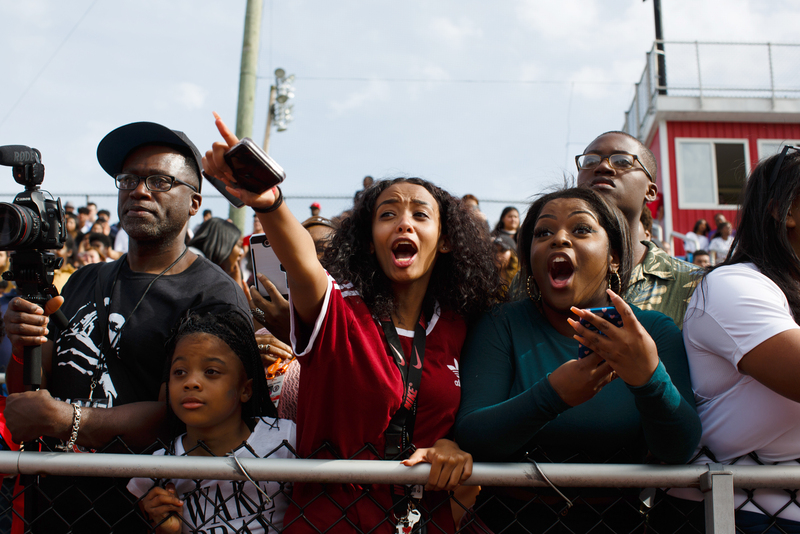 Fans packed the stands to cheer for their favorite athletes and recording artists. 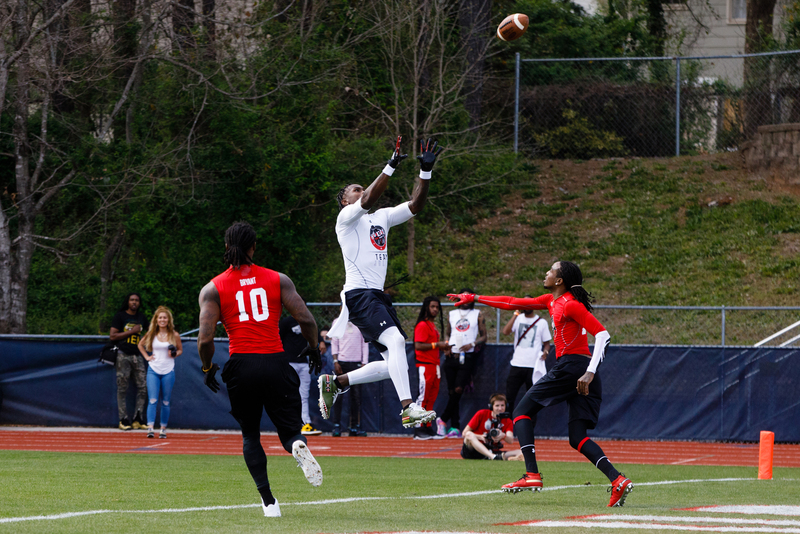 Julio Jones goes for a catch over Martavis Bryant (left) and Quavo. 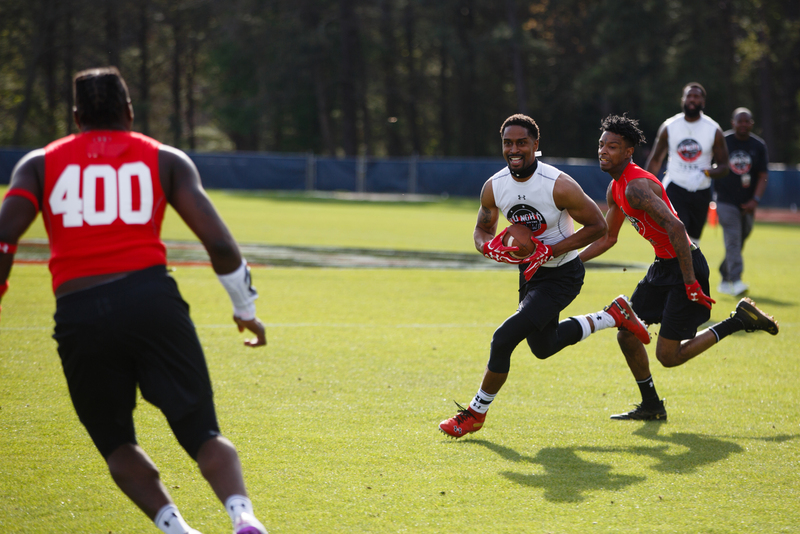 21 Savage chases Lance Limbrick after a catch. 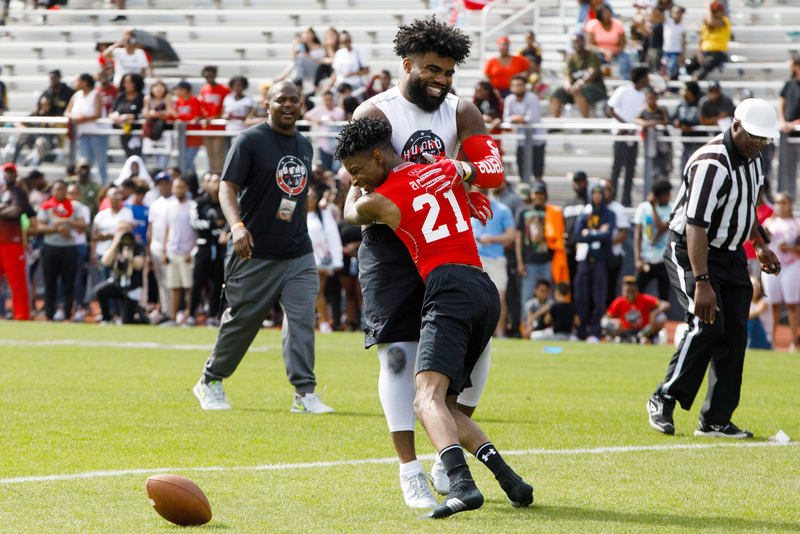 21 Savage tries to defend Ezekiel Elliott. 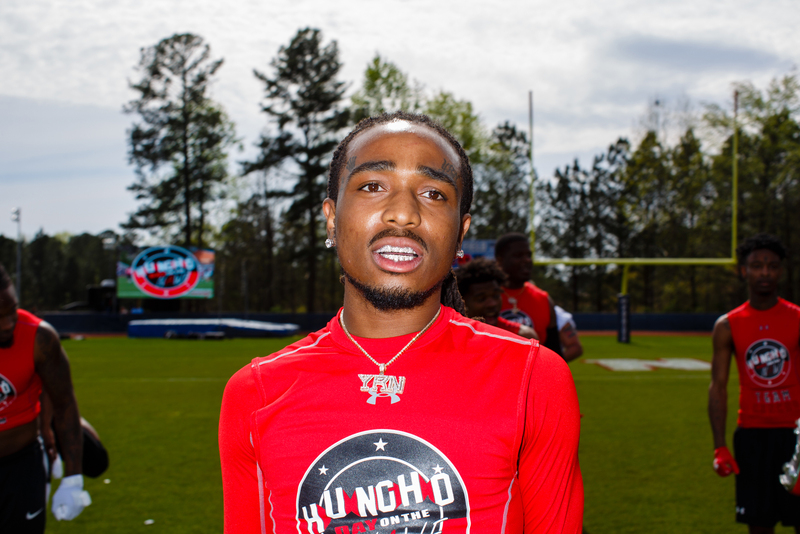 Quavo just misses a catch. 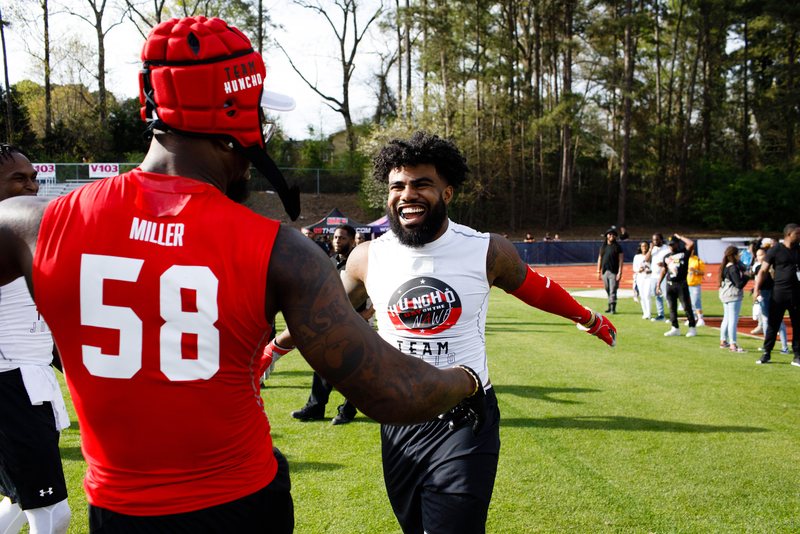 Von Miller and Ezekiel Elliott prepare to hug at the end of the game.